Ellen's Eden palm rentals offers you the natural beauty of plants to enhance the ambience of your very special occasion. Picture the addition of bushy 6' - 7' palm trees in decorative baskets complete with twinkling white lights to soften and enhance any reception room or wedding ceremony. Decorative containers can be draped with fabric that matches the wedding's color scheme or draped with white netting with light throughout. Other specialty rental plants are also available and priced accordingly. 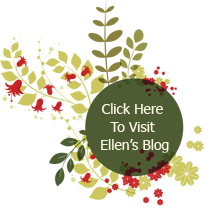 Ellen would be glad to meet you at your venue of choice for a free consultation.